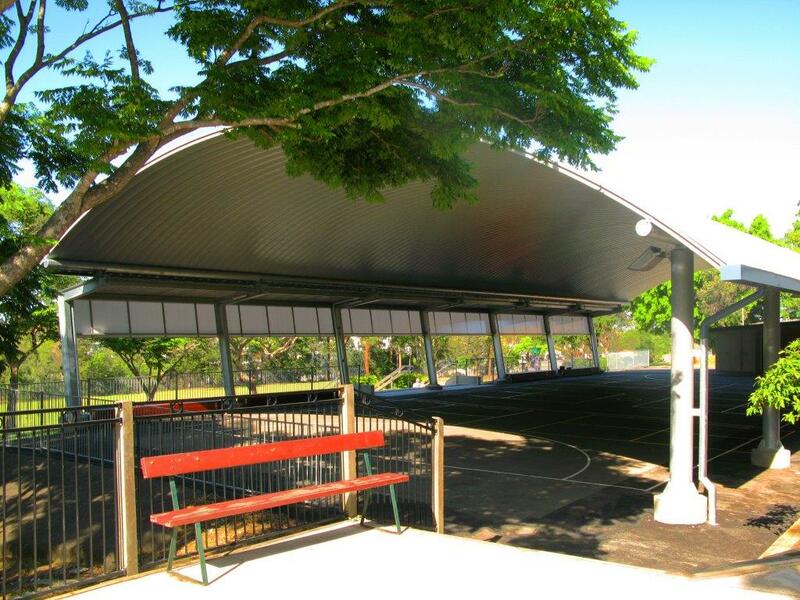 Construction of a multipurpose shade structure and ancillary works over an existing court. 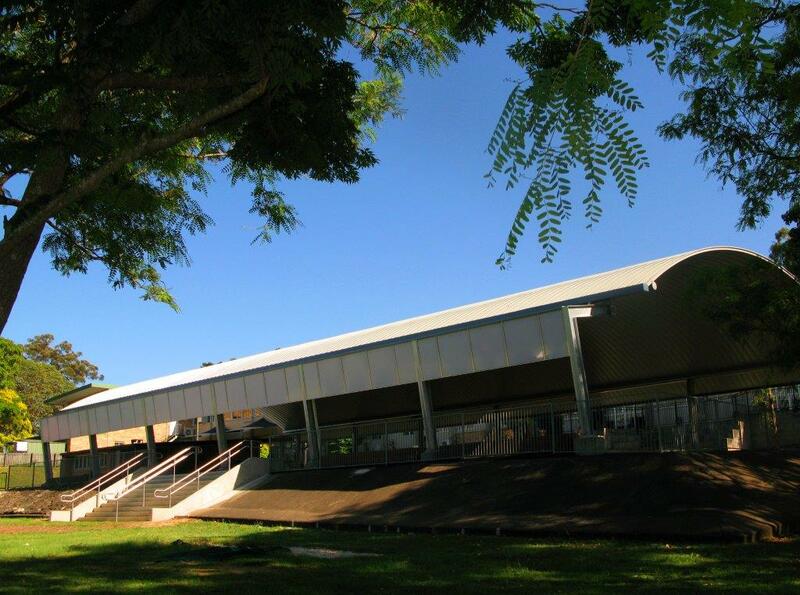 Architects Fairweather Proberts modern design creates a feeling of space that defies the bounds of the small site. 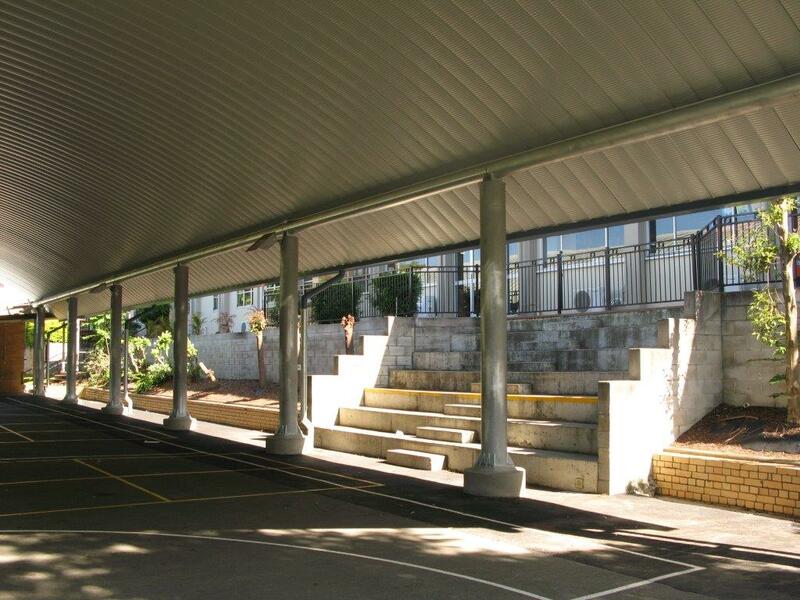 A Spantech arched roof is supported on one side by round galvanised columns, while the other side features counterlever right angled universal beams forming a verandah that defines the structure. 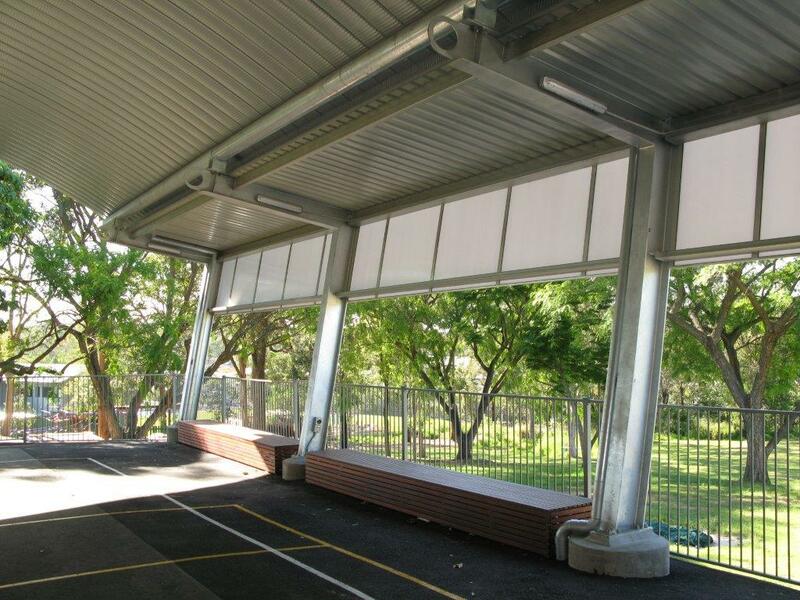 The verandah features a full length translucent skylight and timber seating which overlooks the playground and oval below.